Anyone who’s ever lived in an area with a regular summer can completely appreciate the modern air conditioner. That wonderful example of interior technology allows many of us to completely evade the ever rising temperatures that dominate the outdoors. We almost take central air for granted- until we don’t have it. You may be moving into a home that hasn’t been updated for the 20th century, or living in an apartment complex that only offers an inadequate window unit. These conditions can be a serious shock to someone who grew up with the comfort of indoor climate control. Central air has definitely changed lives, and it’s made it possible for many of us to live in climates that we may otherwise avoid. There are still places in the world where central air isn’t an option, and many people suffer from heat stroke and even death when temperatures get too high. This is a grim reminder of how fortunate we are to even have that inadequate window unit puttering away all summer. Texas is notoriously hot, and it’s a good idea to be in contact with the best AC service in Houston. Air Conditioning wasn’t always an option. It wasn’t long ago that we had to find other creative ways to regulate our temperatures during those grueling summer months. In ancient China, the first manually powered rotary fans gave way to an interest in finding new and innovative ways to cool off. In 1758, Benjamin Franklin performed a series of experiments in an attempt to create freezing temperatures. This was geared more towards the preservation of foods, but also gave us some insight into the science of climate control. People used ice, water, and manual fans to try and stay cool clear up until the 20th century. In 1902, Willis Haviland Carrier stumbled upon the first modern air conditioner. He was working on another issue when he discovered that passing air through coils filled with cold water cooled the air before returning it to the room. He was able to remove the excess moisture, and to keep the airflow constant enough to successfully change the interior temperature of a building. It took Carrier almost three decades to turn this into a working and marketable product. In 1933, the Carrier Air Conditioning Company of America released their first model to the American public. This was a basic design, driven by a belt and blower system. This was considered top of the line with its mechanical controls and ability to control the humidity generated by the machine. Carrier’s design is still the basis for much of what we use today. We have made huge technological strides in creating an energy efficient model that can cool a much larger area while using much less energy. We have maximized our environmental controls as well. Some systems can offer individual room controls, while monitoring the overall temperature within the building. The introduction of smart technologies has brought an entirely new dimension to air conditioning technology. We now have the power to monitor and change the temperatures in our homes from miles away using only our mobile devices. Some air conditioning systems now have integrated technology, and can anticipate changes in the weather and adjust their temperatures accordingly. They can then use this data to track weather patterns in the area. 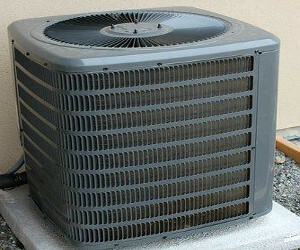 Air conditioning technology has continued to follow the rest of the world in its computerized advances. Remote technology coupled with remote communication can now offer you a fully customizable and energy efficient climate within your home. Renewable energy sources are also being integrated into the air conditioning industry at a remarkable rate. Carrier certainly didn’t anticipate the advances to his original design, but there’s no question of its importance today!